It means that you get a chance to vote for my book, enter to win $100, and get the book for free! Now, you can visit Kindle Scout, check out books, nominate them, and if they are chosen by Kindle Press they will be published and at that time everyone who nominated that book will receive a free ebook. 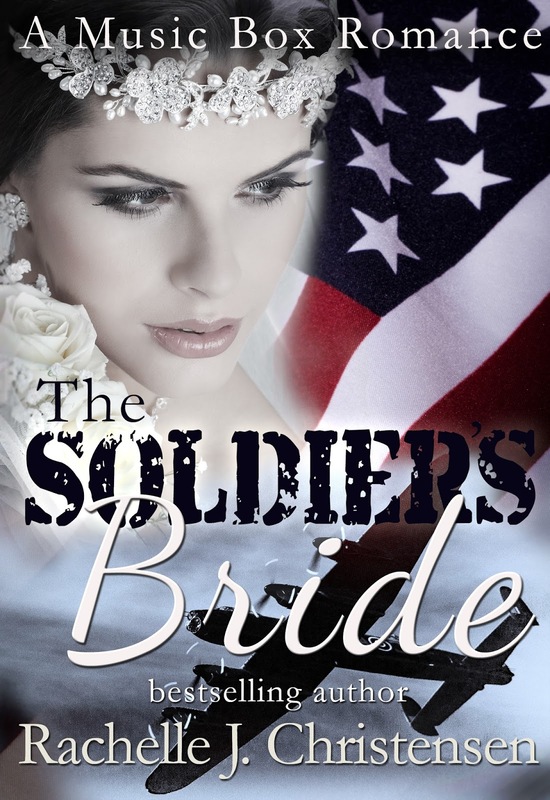 Just visit this link: https://kindlescout.amazon.com/p/1GTCQDT0A568I and you can nominate The Soldier's Bride. You'll need to be logged into your Amazon account to do so. You can also read the excerpt of the first 6,000 words (about 4 chapters) or even have the excerpt sent to your Kindle to read, or you can just nominate it. Would you like to see the absolutely gorgeous cover designed by the talented Christina Dymock? As WWII ration cards and battle scars fill the country, Evelyn’s heart is under fire. It seems even love is rationed out to the war widow. She finds a message tucked inside a soldier's music box with the power to change her life. This romance crosses battlefields and time as the music box touches the lives of two soldiers, a broken father, crippled child, struggling farmer, and a woman once called the soldier's bride. So go and VOTE NOW for THE SOLDIER'S BRIDE by Rachelle J. Christensen and then come back here and enter for the $100! Open only to those who can legally enter, receive and use an Amazon.com Gift Code or Paypal Cash. Winning Entry will be verified prior to prize being awarded. No purchase necessary. You must be 18 or older to enter or have your parent enter for you. The winner will be chosen by rafflecopter and announced here as well as emailed and will have 48 hours to respond or a new winner will be chosen. This giveaway is in no way associated with Facebook, Twitter, Rafflecopter or any other entity unless otherwise specified. The number of eligible entries received determines the odds of winning. Giveaway was organized by Rachelle's Writing Spot. VOID WHERE PROHIBITED BY LAW. Remember, if Amazon selects THE SOLDIER'S BRIDE to publish, everyone who has nominated the book will get a FREE copy from Amazon!